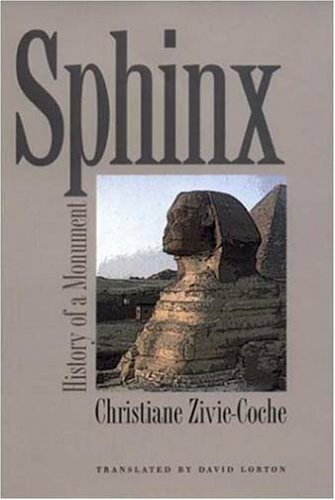 As the title suggests, this scholarly book focuses on the history of the Sphinx as reconstructed from archaeological and historic sources. It was originally written in 1997 and translated from French to English in 2002. 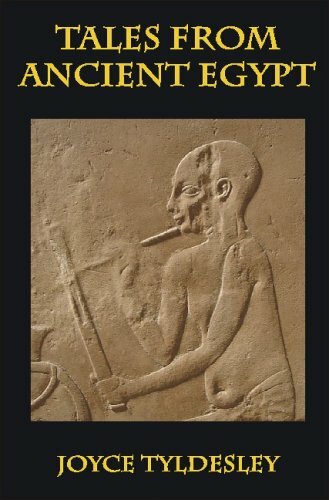 The book is well structured: after discussing the nature of sphinxes in general, including the origin of the word "sphinx" in Greek mythology, the author presents an account of the "modern" history of the monument, from the Greek historians, through Napoleon’s military occupation of Egypt to recent archaeological work at the site. The reader is then given a detailed account of the Sphinx itself and the enclosure in which it sits – with descriptions of the various elements of the Sphinx and discussions of issues such as whether the monument originally had a beard. As early as the introduction, Zivie-Coche dismisses any possibility that the Sphinx may pre-date the Fourth Dynasty, as a number of writers (including myself) have claimed. The book leaves no doubt that the author considers the Sphinx to have been built during the reign of Khafre, but it is disappointing that the chapter on the Old Kingdom history of the Sphinx is one of the shortest in the book (only five pages!). Surely the uncertainty, even amongst Egyptologists, over who actually built the monument is one of its most fascinating aspects, and a more extensive discussion of these issues would likely have added to the popular appeal of this book. From the Old Kingdom, Zivie-Coche next reviews the New Kingdom transformations that the Sphinx underwent and its association with various deities at this time. Then the book considers the monument’s history during the first millennium BC, focussing on Twenty-Sixth Dynasty activity and worship at Giza. This section provides a useful discussion of the so-called "Inventory Stela", which bears a tantalising Late Period text suggesting that the Sphinx was in existence during the reign of Khufu! Although, this text is generally assumed to be a Late Period invention, Late Period copies of older artefacts are known. Given that, as Zivie-Coche puts it "… [the Sphinx] bears no inscription permitting a straightforward and certain dating …" perhaps we should not dismiss the Inventory Stela so readily. Finally, the book closes with a discussion of the Sphinx during the Graeco-Roman period. The book, then, appears to be aimed at academics. Except for a small number of brief comments, there is no discussion of the possible alternative early histories of the Sphinx that have been put forward. To be fair to the author, much has been written on the age of the Sphinx since its original publication in 1997. Bearing this in mind, it is perhaps unfortunate that the book was simply translated in 2002 and the opportunity was not taken to update the text. Such an update may well have broadened the book’s appeal. Colin is a geologist and a regular contributor to AE. He has published several articles on the age of the Sphinx. If, like me, you are a keen follower of archaeological television programmes like "Time Team" and "Meet the Ancestors", you will know how important it is for the archaeologists to know how the site they are investigating "sits in its setting". Villages are built close to spring lines, Roman villas stand at the heads of river valleys and burial sites are places upon the crests of ridges and watersheds. This branch of archaeology, known to the diggers as "landscape history", is often a good way to begin to interpret a site and what its layers might hold. For many years now, however, I have wondered why such interpretation is rarely done for sites in Egypt. One reason, of course, is historical – there is just too much to be excavated, which means that Egyptologists rarely get the time to look at sites in their settings. But another reason for the lack of landscape research may well be the scarcity of source material about the landscape and its origins. This is also true of the books accessible to a more general reader. Books on translating hieroglyphs, or the gods of Ancient Egypt, or the latest theories on the pyramid builders are relatively common, but there are so few up-to-date books readily available to the tourist, scholar or interested reader on the landscape. 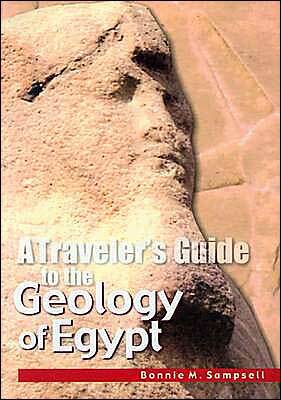 Which is the reason why this new book on the geology of Egypt is to be welcomed. The book states from the beginning that it avoids technical jargon. Instead, it has a glossary of key words and a useful bibliography in case the reader wishes to find out more about topics covered. That said, the book has to contain some technical concepts perhaps unfamiliar to the non-geologist reader. So we read about plate tectonics and seafloor spreading, of geological time periods and types of rock, but these are all necessary to the plot, so to speak. The geological history of the River Nile is explained in a number of places, along with details of current thinking behind the origins of the desert oases (their possible origins identified from "sand rivers" first spotted from spaceships). 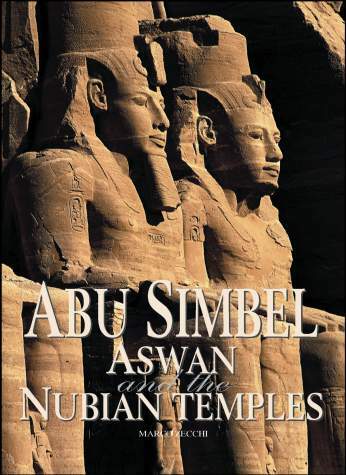 The book is arranged in a logical sequence, starting from the south at Abu Simbel and working northwards. 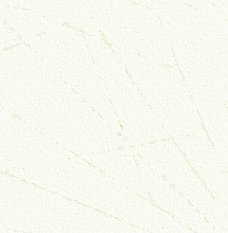 In some parts there are reasonably detailed geological maps, such as around Aswan, but I suspect that, as in Britain, these are based on maps produced of geologically "interesting" places. In Aswan for instance, the map might owe more to the survey carried out during the planning of the High Dam than to actual recent fieldwork by the author. 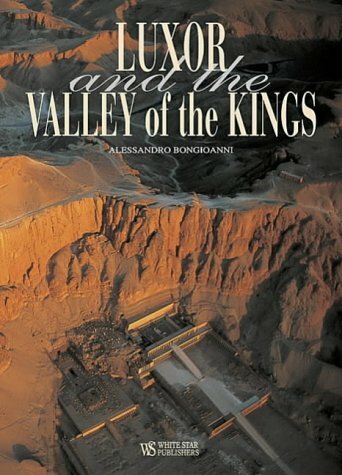 In the chapter on Luxor, however, there is a wealth of detail on the effects of the various rocks upon the tombs and temples of ancient Thebes, making it quite clear as to why the Valley of the Kings is under so much threat from tourism. Further north, there is a chapter on the pyramid fields of Lower Egypt, and it is obvious reading through the text that the debate over "concrete pyramids" can quickly be quashed, as they were clearly built out of nummulitic limestones quarried locally. As well as covering the traditional tourist traps of the Nile Valley, Sampsell investigates the Alexandrian coast and Delta in the north, looks at the Sinai Peninsula and also the geological history of the Red Sea. The handy pocket-sized book finishes with a series of colour photographs showing satellite images of the Nile Valley, of various sites the tourist might visit and of close-up detail of geological features and effects to be seen in the stone of the landscape and used for building the monuments. Even though I confess a small amount of geological knowledge myself, I found the book interesting and useful. It doesn’t talk down to the reader, but gently guides them through the geological features of Egypt, yet is also of the right technical level to be useful to people with basic or even intermediate geological knowledge. I, for one, will be packing my copy in my luggage the next time I go to Egypt! American University in Cairo Press, 2003. ISBN 977 424 785 X. This intriguing and compulsively readable novel will teach you nothing at all about Egyptology, but a great deal about how that subject was perceived by Britain at the end of the nineteenth century. 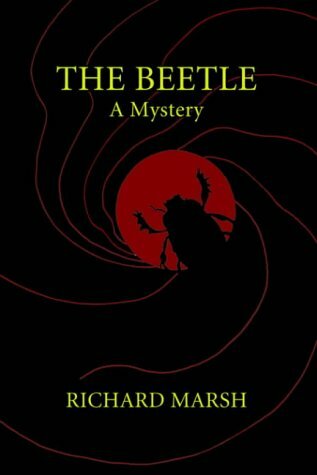 Written in 1897, The Beetle is the story of the fate (worse than death?) of a young woman at the hands of a "filthy foreigner, a dirty Harab", a fanatical follower of the Cult of Isis. The plot, however, is merely the author’s means of dealing with the many issues that were facing a late imperial country undergoing huge changes at home and abroad. There were great fears that our colonial and imperial past would have a backlash – worries that the Empire would decline and "English" identity would be jeopardised as foreign infiltration took place. Multi-culturalism was an unheard of concept then. The improvement in communications and travel were also making the population more aware of dark and exotic places and cultures, while new developments in translating hieroglyphs and cuneiform had shaken the very foundations of belief. The narrative is written from four different viewpoints and allows the author to examine many of the issues of the time. It touches on homophobia, feminism, mesmerism (I was powerless to resist! ), politics and Egypt while still managing to be an exciting read. The references to Egypt are slight, but they are a fascinating snapshot of a particular period in our relationship with that subject, and spawned a tradition that reaches to the present day with films such as "The Mummy". 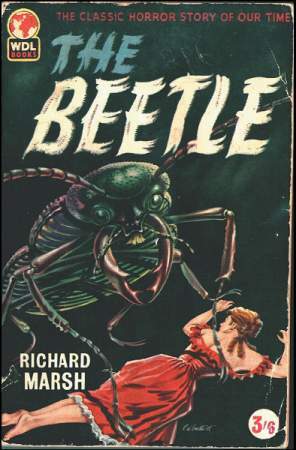 At one time, this novel outsold Dracula of which it was a contemporary, and though it did not have high status at the time, it has achieved iconic status now. This means that the book has at last been reprinted, but is still not readily available and would probably need to be ordered. The Wildside Press version contains a comprehensive introduction by Julian Wolfreys. Unfortunately, the modern versions have slightly more restrained covers now than the 1907 version. (see above). Alison is. a regular contributor to AE and an avid reader of anything connected (even remotely) with ancient Egypt. Wildside Press and Broadview Press. Books of ancient Egyptian gods and mythologies are plentiful, though varying in quality and value. 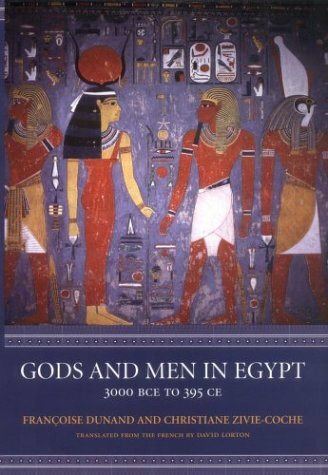 This book is an excellent example of a scholarly yet readable work covering what we currently understand of the role and depiction of gods in ancient Egypt. That the text has been translated from French is apparent in places, and as such this book is sometimes quite dense. There is also a level of assumed knowledge, generally of Egyptian geography, chronology and the names of Egyptian gods. Both of these factors mean that this book is not an introduction to the subject, but its depth and engaging tone make it a very interesting and often thought-provoking read for the student, academic or amateur Egyptologist. The book is split into two, with Zivie-Coche covering Pharaonic Egypt, and Dunand Ptolemaic and Roman Egypt. Neither author treats this as a chronological history of the gods of ancient Egypt – rather, certain aspects of the role of gods and religion are discussed in turn, and the changing role during the course of Egyptian history is made apparent. In some ways, this is a philosophical book, raising questions – the reader is invited to consider how the Egyptians may have thought of their own gods, and why we interpret their writings in the way that we do. Zivie-Coche begins her section with an in-depth look at the translation of the ancient Egyptian word for "God" (netjer) and how its various translations show different roles for the god. Another interesting section discusses whether it matters to Egyptologists to consider if the ancient Egyptians truly believed that their gods existed – something which, for me, reinforced the fact that, although the ancient Egyptians are often perceived as a greatly religious civilization, they must have been – just like our civilization today – a mixture of true believers and those who didn’t believe at all. The areas under discussion by both authors are well chosen, and are both interesting and diverse. Zivie- Coche covers concepts of time and creation, the use of temples and cults, "personal piety" or the role of religion in the everyday life of an Egyptian and their relationships with each other, and, of course, death and the afterlife. Dunand chooses to split her section into three – "Religion and Power", covering the socio-political and religious changes that took place after the conquering of Egypt by the Ptolemies and then the Romans, "The Religious Universe", covering the changing roles of the temples and cults, and the integration of Greek gods with Egyptian gods, and finally "Human Behaviours", covering the role of priests, private worship and funerary beliefs. Both writers express their ideas clearly, Zivie-Coche’s preface setting the tone for the rest of the book and illustrating themes and ideas which are vital to a deeper understanding of what follows. Dunand’s section is perhaps the easier to read, though this does not mean that it is any less informative. I expected this book to be a tough read – and in some ways it is, requiring the reader to attempt to understand the ideas of a long-gone civilization, and raising questions about the idea of religion. However, I found myself rapidly progressing through the chapters. A challenging, thought-provoking but ultimately rewarding read. Vicky is a doctoral student in Egyptology at the University of Manchester. ISBN 080 144 165 X. White Star publishers have established a well-deserved reputation for large books (10.5 x 14.5 inches) full of some of the best photographs of ancient Egypt seen in print. This volume, with slightly less pages (192) than earlier volumes (on subjects like Tutankhamun and Treasures of the Egyptian Museum) covers the temples of Karnak and Luxor on the east bank of Luxor, some of the funerary temples on the west bank and a selection of private and royal tombs. The sections on the tombs fill almost half the book and the images are remarkable (many of them being taken from another White Star book on the Valley of the Kings). The tombs have been superbly lit and the photographers were allowed to remove all the glass screens in the tombs for a clear view of the walls. The accompanying text is, of necessity, brief and is often no more than long picture captions, but what is there is good and accurate. This is a book to own for the photographs alone. If you have visited Egypt, then these views will bring back all the memories, and if you haven’t .… well be warned that in some of the tombs, seeing the real thing is often quite difficult in dimly lit tombs and with the glass screens in place, so this is one instance where the photographs are (almost) better than the originals. ISBN 88 544 0009 2. The comments made above about the quality of the photographs stand for this volume too, but this book is more than just a visual tour of the monuments of Nubia, many of which may not be over familiar to AE readers. A large part of the book looks at the geology of Nubia, with some splendid aerial views, but then examines the exploration of the area and the early travellers. It continues the story right up to the building of the Aswan High Dam and the rescue and restoration of the temples, including Abu Simbel and Philae. The book explains the importance of Nubia to ancient Egypt. The fact that it is far to the south meant that many of its monuments were un-known until relatively recent years. International reaction to the possibility of losing the superbly preserved temples resulted in a remarkable project to save them and the book, is in some way a record of that work too, as well as a testament to the original builders. Although many readers will be familiar with the monuments of ancient Egypt, quite often the literature of Pharaonic Egypt is something which is entirely overlooked. This little volume (with one hundred and ninetytwo pages) is an excellent introduction to the subject, being a collection of some of the most famous "Tales of Ancient Egypt". The book, as is proper, begins "at the beginning" with a retelling of the ancient "Egyptian Story of Creation" (actually based on the Heliopolitan version of events) before moving on to describe "The Destruction of Mankind", the "Rule of Osiris" and the "Battle between Horus & Seth" The great strength of this book is not just in its wonderful retelling of these tales but in the fact that an interpretation of each story is given after the story itself. This enables the reader to understand more fully the importance of the story and to put it in its proper social and historical context. After the "Myths" of the earliest periods the book then continues with some of the most loved "tales of men" including the story of "The Shipwrecked Sailor" and "The Story of Sinuhe". The book follows these famous works of literature with true stories taken from historical inscriptions and surviving papyri. The famous "Hymn to the Aten" is then given as an example of religious composition to complete the volume. One criticism which could be levelled at the publishers is the lack of illustrations in this book, but then this would be unfair as these stories were designed to be told in an oral tradition and were composed without the need for pictures – the audience using their own imagination as the story was told. This modern retelling is so effective that the book does not need illustrations, which would only ruin the flow of the narrative if they were included. The ancient Egyptians themselves did not illustrate these tales Finally, the publisher is to be congratulated in that for each copy sold a donation is made direct to archaeological research in Egypt – another good reason to buy this compact but useful little volume. Victor is an Editorial Assistant for AE.